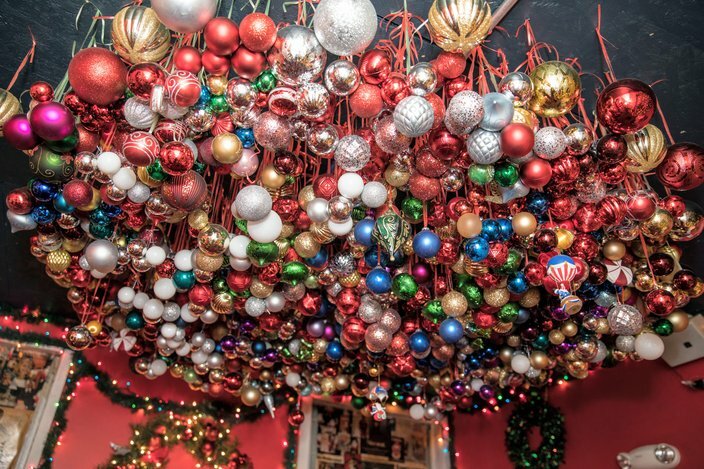 Tinsel, a festive pop-up bar from the team behind Tradesman's and BRU, is returning to Philadelphia this week for its second holiday season. 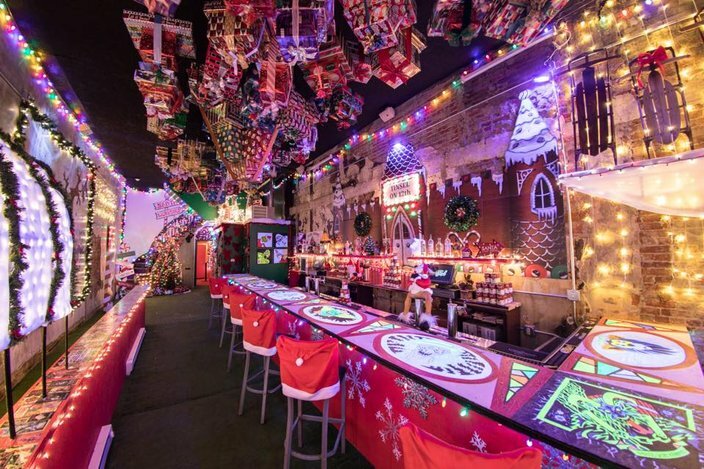 The bar from Teddy Sourias and Craft Concepts is one Philly's two Christmas-themed bars, along with East Passyunk's ITV which will be fully decked out as Miracle Bar now through the end of December. 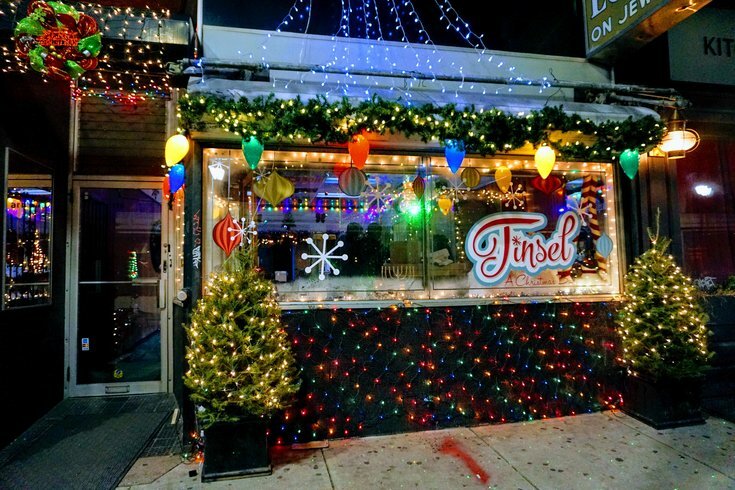 Tinsel, which you may have visited when it debuted last year in Center City, has sat vacant all year while it underwent remodeling. Now it is finally alive again and ready to serve Christmas-centric drinks this weekend. The interior of Tinsel, a Christmas-themed pop-up bar at 116 S. 12th Street. There will be some changes to this year's Tinsel, including more space, which may help with the at-capacity crowds the bar served last year. The remodeling has raised the ceilings in the old jewelry store space, as well as created a bigger bar and additional rooms. 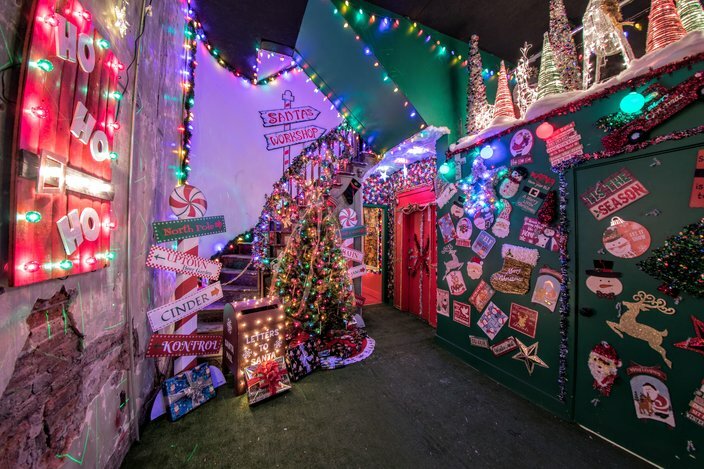 There is a wall adorned with 1,000 bows, a chandelier made of 500 Christmas ornaments, and an ornate Santa's throne, all designed to b e perfect Instagram fodder. Throughout the season Tinsel will have a charitable bent as well. Among this year's new cocktails is the Canned "Good," the proceeds of which go to MANNA. For folks who work in the industry – the holiday industry, that is – drinks are 50 percent off if you come in your work outfit (i.e., mall Santa or Salvation Army suit, for example). During happy hour Christmas workers also get their first drinks for free. Tinsel expanded the space for its second season, including work to expose the building's original staircase. The 500-ornament chandelier at Tinsel. Keep on the lookout for parties and events at Tinsel throughout the month ahead, including sets from XPN's DJ Robert Drake. Monday-Tuesday: 5 to 10 p.m.